When will be Space Rangers next episode air date? Is Space Rangers renewed or cancelled? Where to countdown Space Rangers air dates? 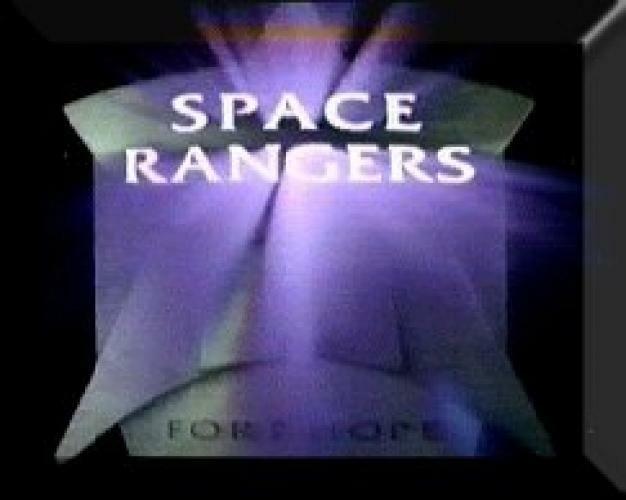 Is Space Rangers worth watching? Space Rangers is an intergalactic action-adventure in the best tradition of "Star Wars". Created by Pen Densham, "Space Rangers" is a compelling story about a group of adventurers for whom no task is too great. This six part miniseries features an ongoing cast of rugged, likeable peacekeepers who must do battle against a new set of obstacles in each of six closed-end episodes. The year is 2104. Explorers have stretched civilization to the farthest reaches of the galaxy establishing remote outposts. They've discovered new worlds and learned to share them with new races. A few elite men and women have volunteered to go to the frontier, not to rule, but to uphold the law. These are the "Space Rangers", part Peacekeepers, part Marines. Much like the pioneers or cavalry before them, who tamed the Wild West, the "Space Rangers" have left behind their old, comfortable life to seek new frontiers and challenges. With this quest come new enemies as well. None are as fierce as the "Banshies", who are akin to the Apaches to those who were trying to colonize the Old West. These brutal warriors are the greatest fear and impediment in the galaxy. While "Space Rangers" deals with life on the frontier, the program also addresses our current problems in a futuristic setting. Topics such as honor, responsibility or losing one's job to automation underscore the adventurous elements in each episode. This sense of morality or "message" is subtely interspliced into each episode, taking "Space Rangers" one step beyond the average sci-fi show. When a pod reaches Fort Hope with only 1 passenger, the stranger talks about a transport ship that didn't survive. Boon's former Captain and former Ranger Decker and Graaka High-Priest Nazzer. It went down on Skaraab, a lifless, sun-scorched planet that happens to be the home of a sacred Graaka burial ground. Daniel Kincaid, a new team member with a fresh respective comes on board. Zylyn tells Boon about a legend where an ancient weapon that has been hidden for a thousand years that is protected by deadly vegetation. The Rangers race to save them. However, the mission could cost them more than they want. While the Rangers are trying to find out who is behind a mining ship's hijacking, the Rangers are given the assignment of taking care of an android troubleshooter called "ringer". They soon feel that the ship is being used by Isogul, a Hobbaba crime lord who has smuggled "Exjay", a powerful drug. However, before they can prove, they have to return it. They find out the plans of Colonel Weiss to replace all the Space Rangers with androids. When the Rangers get the command to trap on of the most deadliest space predators known as "banshees", a young boy in the Blood Nebula with some of them. As per request from Colonel Weiss, they board and lose the boy. They learn the real reason why the boy has been able to live among the creatures. They fight to save their own lives against the creatures they have no idea what they are all about. When Captain Boon accidentally offends the Vee'Lons, a race of reptilian warriors twice, Prince Gor'Dah, the Vee'Lon's dignitary, declares war on Fort Hope and Centeral Command and sentences everyone to death. Central Command's Ambassador, Hardcastle, is assassinated and Weiss and Chennault are the ship's only defense to save the crew from execution. Boon challenges Prince Gor'Dah to a duel to the death. A murder of another Graakan happens and Zylyn is accused of committing it. The rangers don't manage to get him legal defense and are forced to defend him themselves. They hunt for evidence to find out the real murderer because of their rational of a conspiracy. Isogul, the Hobbaba crime lord, plans to destroy the Space Ranger's defense from inside. He plans to take over Fort Hope, but the Rangers are ready and are determined to stop Isogul once and for all. Lenny Hacker, a comedian past his prime, crashes on Katraz, a prison planet that has no guards and where no one leaves. The Rangers, who are desperate of escaping another dress rehearsal for the visit of General Kincaid (Danny's Father), go to rescue Hacker. After finding out about it, General Kincaid holds Commander Chennault at fault for the safety of his son. The Rangers come face to face with the violent inhabitants of the planet including a vicious man named Rec. Space Rangers next episode air date provides TVMaze for you. EpisoDate.com is your TV show guide to Countdown Space Rangers Episode Air Dates and to stay in touch with Space Rangers next episode Air Date and your others favorite TV Shows. Add the shows you like to a "Watchlist" and let the site take it from there.